It seems like Microsoft will finally go ahead with its Windows Phone 7 OS afterall. It was widely rumored that Windows Phone 7 OS will be launched in October but turns out that November will be the month when this will happen. Initially it was thought that October 11th was the date for the release of the OS. Paul Thurrott from WindowsPhonesecrets said in a blog entry, “I’ve been told by a very reliable source that the US launch date for Windows Phone is November 8”. There was no news about a European launch day but speculation is that it might be the same day. There was no official statement about the possible release dates of the Windows Phone 7 OS. Microsoft is still keeping it under wraps for reasons unknown. 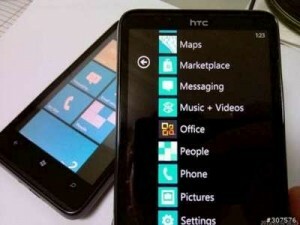 However Microsoft is quite confident that Windows Phone 7 OS will be well received. More as we know about it.